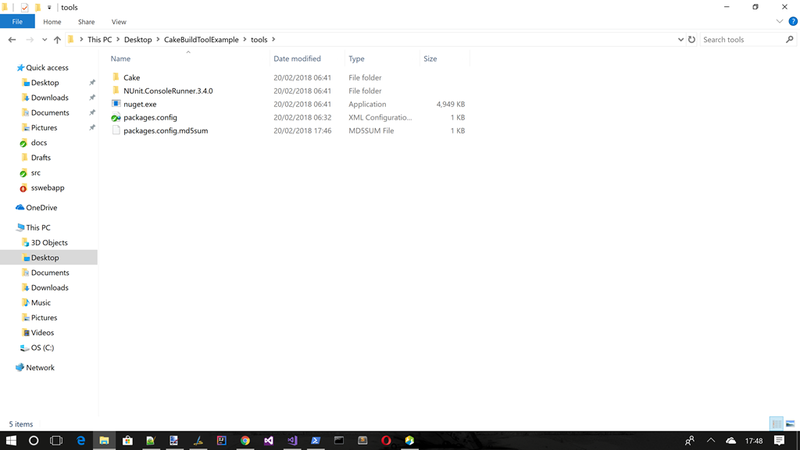 I don’t know exactly when or where I first came across the Cake build tool, and at the time I made a mental note to look at it in more detail (as I am not a massive fan of MSBuild). That time came and went, and I did nothing about it. Then Cake came across my radar again so this time I decided to dig into it a bit more. So what is this cake build tool? 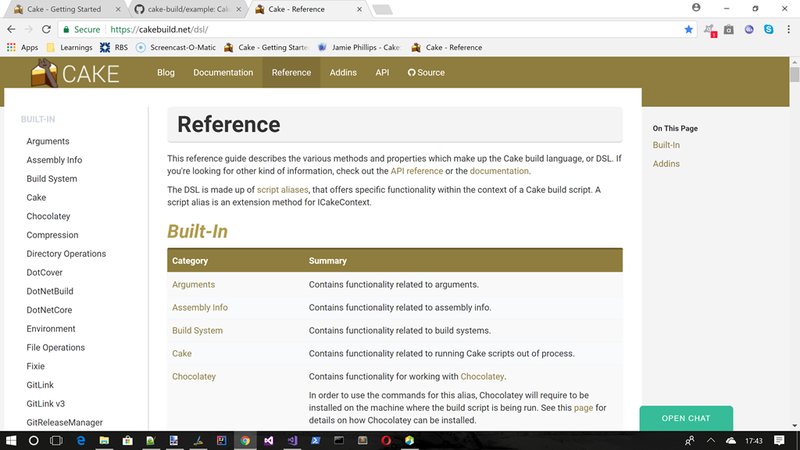 The Cake build tool is a build tool that utilizes the Roslyn (compiler as a service) from .NET. What this means is that you can write very precise build scripts using very familiar C# language syntax that you know and love. 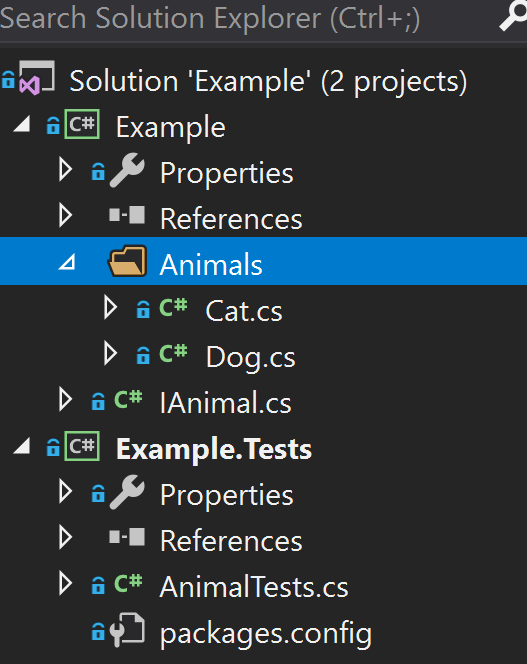 The repo is a simple C# class library and a test project all within a single solution. 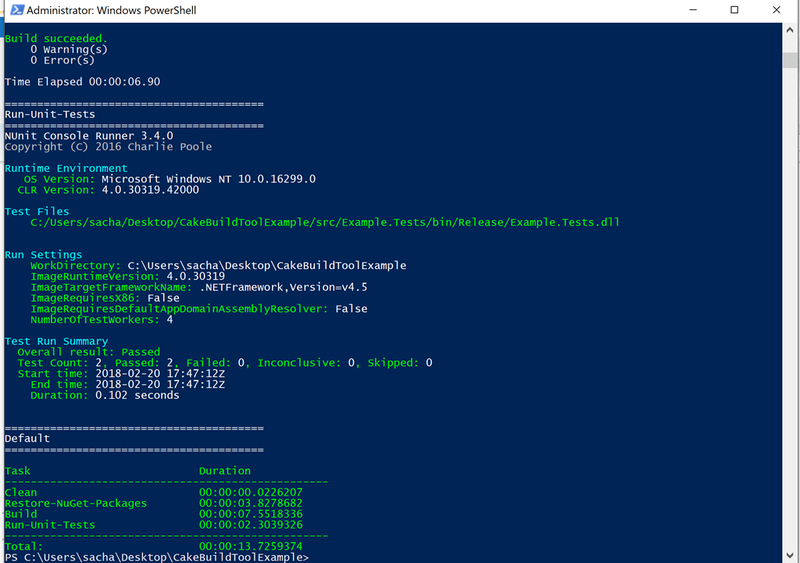 Most of this is already available within the example repo : https://github.com/cake-build/example, with the exception of pushing a nuget package at the end. What bits do you need to run a cake build? I think I will be looking to use this little build tool a lot more.